Who needs DNA Appliance Therapy? The DNA Device is ideal for Adults and Kids who suffer from TMJ Pain, Sleep Apnea, Small Stuffy Nasal Passageways, Posture Problems, and Headaches. Appliance is Removable and only needs to be worn in the evenings and night time. One thing most patients with Sleep Apnea, TMJ, Orthodontic and Posture Problems have in common is that they all have a small mouth. Individuals with small mouths and crowded teeth often do not have enough room in their mouth for their tongues. Small mouths also do not have enough room for proper breathing at night – everything really gets tight, crowded and obstructed, including the upper airway. The mouth is the base of the nose, meaning small, stuffy nasal passageways. Sometimes “seasonal allergies” can be improved by creating more room for seasonal irritants to drain and pass through the mouth and nose. DNA Appliance Therapy gently expands the upper jaw while keeping the bite balanced. The DNA is unique in that it treats the bite and the airway at the same time. The 3D expansion increases the size of the nasal passageways and the mouth. As the upper jaw expands, the lower jaw enlarges and moves more forward into a more natural position. As the lower jaw moves forward, the tongue and soft tissue follow and have more room to exist, thus creating a larger and less obstructed upper airway. The result is improved breathing function, resolution of clenching/bite problems and improved posture. Have you ever wondered why you can’t breathe well through your nose? Sinus pain and pressure is caused by small sinuses and poor sinus drainage. Increase the width and depth of the mouth and airway. The DNA naturally creates more room in the mouth to permanently improve the structures of the airway. Correct TMJ problems by adjusting and balancing the bite during treatment. 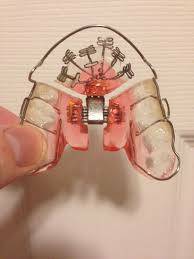 The DNA Appliance can correct and cure Sleep Apnea, TMJ Dysfuntion, Orthodontic, and Posture Problems. Patients who have DNA device therapy experience cessation or huge improvements in TMJ Pain and Sleep Apnea. DNA Appliance therapy is a great tool for the TMJ Dentist. Dentists do not diagnose Sleep Apnea, but they can make the airway bigger with the DNA Appliance device. Many Sleep Apnea Specialists seek out dentists trained in appliance therapy to help their patients. The DNA can be used for all ages. It is comfortable, painless and is only worn in the evenings and while sleeping. While many comparable corrective therapies involve surgery, the Sleep Apnea Device uses no Surgery, needles or drugs. The appliance naturally corrects alignment of teeth, facial development, upper airway, and neuromuscular harmony. There is no cookie-cutter treatment. Though many patients may present with common symptoms, each case has unique problems requiring a specific treatment course. Diagnosing each case for the specific problems that exist. Designing a DNA appliance to correct jaw and facial bone problems that exist. Co-treatment where a Dentist and skilled Physical Therapist work together to treat posture and breathing problems present throughout the body. Other helpful appliances exist for the treatment of Sleep and TMJ such as the ALF Appliance, but none are as effective at simultaneously treating TMJ and Airway issues as the DNA Device.